For four decades, the AEON Corporation of Japan has been innovating in English language education, offering exceptional classroom and internet opportunities to study and master the language. Since first opening its doors in 1973, AEON has grown to become one of the largest and most respected private educational institutes of its kind, with more than 3,000 employees and is still going strong. More than 80,000 students are currently being taught in more than 250 branch schools located within every prefecture of Japan. AEON employs a teaching staff of over 500 teachers and education specialists from English-speaking nations. The AEON Corporation of Japan offers group and private classes to Japanese students of all ages. The main focus of AEON is to improve the conversational English ability for Japanese adults and children, helping to fill in the gaps the public school system misses out. For adults, AEON offers opportunities for our students to improve their everyday conversational ability and also offers more specialized courses designed for business English and standardized test preparation. For children, AEON Kids lessons are designed to make learning English fun, all while building a strong conversational foundation for their future. The majority of teachers at AEON instruct both adults and children. AEON recruits in multiple locations around the world. You can view all the locations where it's currently running recruitment events here. 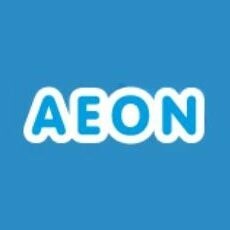 You can apply to AEON here.